Over 25 years ago, Dr. Zein Obagi started a skin-care revolution as the founder of the Obagi Nu-Derm System. 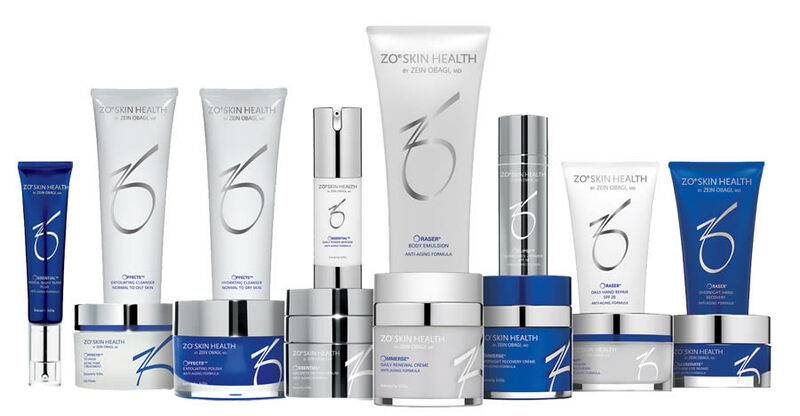 Cannon Plastic & Reconstructive Surgery is proud to announce that we are now Savannah’s exclusive source for Dr. Obagi’s next generation of premium skin care products, ZO Skin Health. In the twenty-five years since Dr. Obagi introduced Nu-Derm System, skin health science has advanced well beyond then-current principles. Indeed, those principles are no longer sufficient or suitable for everyone. That is why, in addition to a wide spectrum of therapeutic treatments, ZO Skin Health offers daily and preventative solutions for creating and maintaining healthy skin. As part of Dr. Cliff Cannon’s commitment to delivering timeless, natural beauty for patients of all ages, we are pleased to introduce ZO Skin Health to Savannah, South Georgia, and the Low Country. You may contact us to set up an introductory consultation for treatment of any number of skin disorders and chronic conditions via ZO Medical: Therapeutic Solutions. ZO Skin Health: Daily and Preventative Skincare products may be purchased in our office on an outpatient basis and also by visiting our online store. We know that sun exposure, smoking, and other nutritional and environmental factors can cause damage to our skin over time, creating an appearance of years beyond age. Fortunately, in addition to therapeutic treatments available only by prescription, ZO Skin Health offers comprehensive array of products to support daily skin health and to provide protection from the environment. Dr. Obagi has suggested that the skin care industry is in crisis, “When so many skincare patients are treating themselves with products they purchased online and so few are going to the doctor, something is wrong.” He has called for a more holistic approach, in the hopes that we might be able to bridge the gap between therapeutic and daily skincare by providing the most effective technology and products to achieve continuously healthy skin. The idea was deceptively simple. Dr. Obagi wanted to create therapeutic treatment protocols for everyone, regardless of skin condition, age, gender or ethnicity. The result was the ZO Skin Health Circle, a system that makes use of the latest advances in skin science to repair damaged DNA, while restoring your skin at the cellular level. These trusted products are perfectly safe for long-term use, and Dr. Cannon and his team are available to customize your program of treatment that will reveal or restore your skin’s natural beauty. At Cannon Plastic and Reconstructive surgery, we will help you identify Obaji skin care program that matches your skin condition, so that you can achieve and maintain healthy skin for life. ZO Skin Health has developed four effective, multi-step systems to help you maintain healthy skin that is strong, smooth and firm, evenly-toned, and fully-hydrated. Products may be purchased individually. Ideal for youthful skin with little or no apparent signs of chronological or photo-aging. Provides the essential tools to help achieve healthier skin using retinol, specialized enzymes, and antioxidants to promote cellular function and restore and maintain youthful, healthy looking skin. Ideal for treating the early signs of intrinsic aging – fine lines, uneven skin tone and loss of firmness. Uses higher concentrations of active ingredients, including growth factors, retinol, and enzymes to prevent and help repair moderate skin damage at the cellular level. Ideal for those with definite signs of aging skin – wrinkles, brown patches, skin laxity, large pores, significant sun damage. Delivers the highest concentrations of retinol, helping patients with aging and photo-damaged skin to radically reduce wrinkles, uneven skin tone, fine lines, rough texture, and sagging skin. Addresses the build-up of dead cells on the skin’s surface and inside the pores, which can result in comedones, papules, cysts, and possibly scarring. Slows sebum activity and breaks down surface sebum, while exfoliating dead skin cells to help repair surface damage, tighten pores, and improve skin texture.